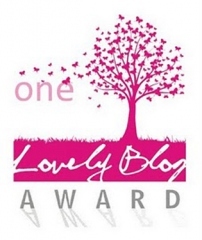 I Won The Very Inspiring Blogger Award! 3. I have gone through some horrible things. Haven’t you? 4. I am Thankful God adores me. 5. I love my brothers though we no longer are close. 6. I miss my Dad so much. Thanks go out to http://curlsandq.wordpress.com/ for nominating me for this award. Still not sure how to really do this right so here goes another attempt! 5. I taught Sunday School to wee ones, so very long ago. 7. I was abused each year I was married, 16 of them.